The leader of fast boat Bali to Gili Trawangan, PT. Bluewater Safari set up Bluewater Express for a brandmark. If you’re searching for an endeavor which can be professional then Bluewater Safari is the best choice. 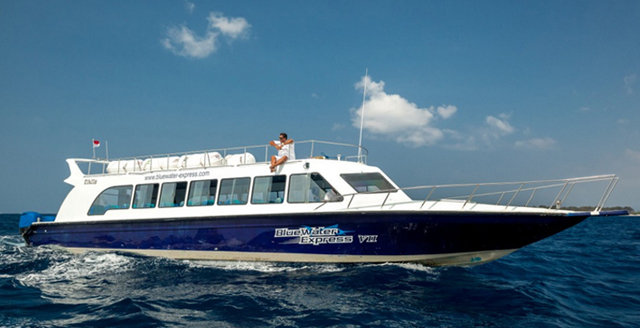 This is the best transportation by sea from Bali to Gili Trawangan and it’s also the best choice if you wish to go by fast boat from Bali to Lombok. Today, PT. Bluewater Safari has sixty skilled staff. Best service and customer’s satisfaction are the priority of this Bluewater Company. Previously, boats were wont to depart from Benoa Port, nevertheless, in present, boats leave from Serangan Port. The boats depart from 2 harbors, Serangan Harbor and Padangbai Harbor. The boat leaves at 8.00 am From Serangan Port in Bali to Gili and also Lombok. Meanwhile, the one leaves later that is 9.15 am from Padangbai Bali to Gili Trawangan, Gili Air Teluk Kodek (Lombok). A detailed timetable will be soon released in June till September. Check this website for complete information on timetable, cost and time.